A new bi weekly Anything Goes Challenge starts today over at the Lacy Sunshine Blog. So come on over and join us! We love to see your creations and we also love sharing our creativity as a Design Team over at Lacy Sunshine with you too. I hope you all visit the Lacy Sunshine blog to see all the fabulous creations by the Team. All the DT inspirations feature images from Lacy Sunshine OZ Coloring Book which can be found at Amazon and Barnes and Noble. 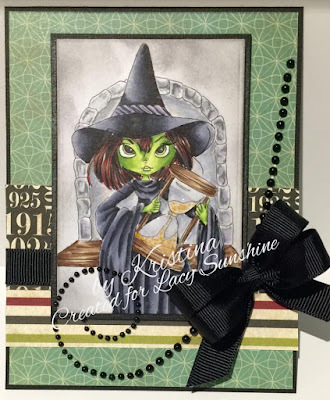 These images can also be found as digital stamps only at the Lacy Sunshine Store. Now it's time for you to join in the fun. Start coloring and crafting and enter our challenge now for your chances to win some digital stamps.